Welcome to the first ever online body building show – ePhyzique! Are you ready for something really cool? Something new? Something you have always wanted to do but you always found a way out of doing it? Do you need a really cool goal to stick hard to your diet and exercise program? How does a $3,000 custom fit mountain or road bike motivate you? Welcome to the first bi-annual, first time ever on the Internet – physique show! That’s right – bodybuilding, fitness, and bikini contest from the comfort of your own home. No more having to travel, no worries about peaking to early or too late, no overnight hotel fees, no crazy organizational dues. Just eat right, train hard, take your pictures and send them in! It’s that easy, that simple, and that frickin cool! Three judging panels will be used to determine winners. 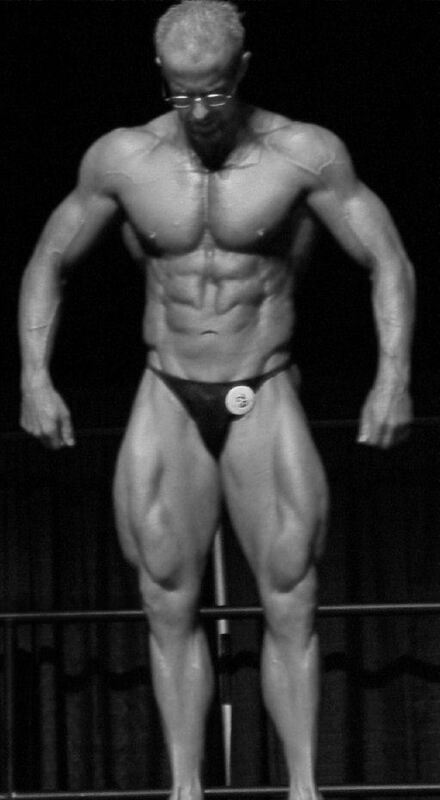 Dr. Willey, a guest judge TBA, and viewers of the on-line physique show will vote via our website http://drwilley.com. The pre-judging (or the first round) will take place November 10th. The judging will be open from 3 pm – 9 pm MST. Scores will be tallied and the winners (1st, 2nd and 3rd) of each class will be announced on November 11th. The awards ceremony will take place at approx 7 pm MST. Then voting opens for the overall winners (men and women). The winners will be announced on November 12th, 2011, at approx. noon MST. The pre-judging will take place. This is your chance to have a say in who you think is top of their class! This will be open from 3pm to 9pm MST. Class semi-finalists will be required to send in a photo within 15 minutes of notification. So, you must be “present” to win. The class winners (first, second and third) will be announced at the awards ceremony which will take place approx 7 pm, MST. The 1st place winners will then be entered into the best overall for the men and women. The voting will open at 8 pm MST, and remain open through 10 am MST Saturday morning. The voting for the overall winners will close at 10 am MST. At noon MST, The overall winners will be announced, and they will be able to claim their prize; a Mountain or Road Bike from Barrie’s Ski and Sports!!! MSRP of approximately $3,000! Please note that grand prizes are based on participation, and may be subject to change. Overall winners in the male bodybuilding and top female athlete will win a Mountain Bike (MSRP of $3,000) from Barrie’s Ski and Sports in Pocatello, Idaho that will be custom fit to the needs of the winners. Class winners will also win a prize TBA soon! In the event of a tie or close call, the contestant’s personal statement/bio will be used to determine the final winner. As with all our online events, there will be prizes galore the day of the event. You don’t even have to be a contestant to be eligible for the giveaways! The bigger we can make the event, the bigger the giveaways! So, tell your Grandma, your mechanic, your dentist, etc. Let’s get this thing to be huge! You may sign up for the contest at any time before Friday October 28th 2011for $30/class. Between Saturday October 29th 2011 and Friday November 4th, 2011 a higher entrance fee, $55/class will be applied. No entries will be accepted after Saturday November 5th, 2011. Click HERE to sign up, fill out the entry form and lawyer crap and get to the gym! Email ace@drwilley.com for more information. Entrants must be registered members of drwilley.com. (Registration for the contest makes you a member). Novice competitors must have never placed 1st, 2nd, or 3rd in any OPEN CLASS competition (except teen) or first competition. Masters must be over the ages listed below by November 4th, 20011. Figure and Bikini competitors must be at least 18 yrs. old By November 4th, 2011; proof of age will be required. ALL ENTRY FORMS MUST BE RECEIVED WITH PAYMENT NO LATER THAN SATURDAY, OCTOBER 28TH, 2011. $30 PER CLASS ENTERED. Entries received after October 28th are $55 per class. Pictures must be uploaded by no later than November 4, 2011. The pictures must be taken sometime between the time of registration, and November 4, 2011. Do not use a picture from 2 years ago, we will be able to tell. The winners of the classes will be required to send in a picture of their favorite pose with a printout of our choosing to prove the date. This will allow us to verify that the contestants are truly as fit as they purport to be.